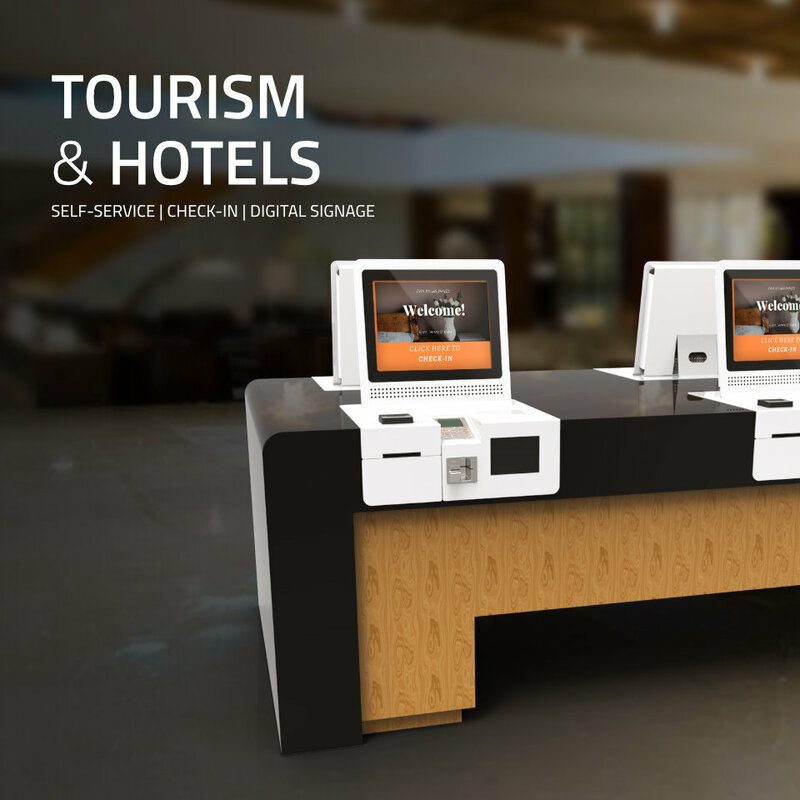 Automate processes and workflows with interactive solutions for tourism and hospitality. The constant evolution of the internet and the behavior of current consumers have effectively revolutionized the way these sectors look at communicating with their customers. Communication has become more directed, simple and autonomous. One of the most frequent uses in hotels is the availability of multimedia kiosks for internet access by its guests. If we analyze the whole process that now involves the tourism and hospitality sector, we realize that thanks to new technologies it is easier to provide new processes to maximize information capacity and contribute to greater productivity, speed and quality in services. In the Tourism sector, marketing and advertising agencies increasingly use these technology platforms to highlight their customers from the rest of the competition. The hotel units that have not yet adhered to these systems will surely be one step behind!